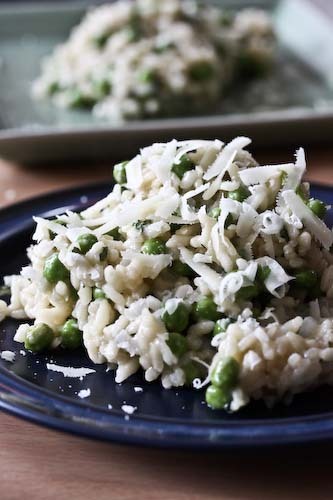 It is a particular characteristic of the best classic foods that they turn a few simple ingredients into something wonderful. If you were looking for a recipe for something to give away, something simple but sophisticated, something that can be eaten with the fingers without any mess, you could do a lot worse than the financier. Although they're best eaten the day they're made, the batter does have to rest, so you can whip it up the night before and let it rest overnight, then bake them just before distribution. Look at the ingredients. Butter, sugar, almonds, egg whites and flour. That's it. From this minimal list, you'd have no idea just how refined the taste would be. But when you brown the butter until it smells like caramel-covered nuts and grind the almonds to the consistency of flour, you'll see why the financier is one of Paris's most-loved little cakes. And, I mean, I love Paris. Not as famous as its cousin the madeleine, the financier is more understated, not as attention-seeking as that iconic shell. Their classic shape is reminiscent of the golden bars of their namesake 19th century stock brokers. According to Dorie Greenspan, who adopted this recipe from the Left Bank's Boulangerie-Pâtisserie Poujauran, they were invented during the late 1800s, and although they don't appear in French cookbooks as often as they probably should, they are a Parisian standard. And now a word about browning butter. You're going to set your butter in a small saucepan over medium heat. You don't necessarily need to stir the whole time (although I'm neurotic, so I do) but you do need to watch it closely the whole time. If stirring helps hold your attention, do it. First the butter will melt, then it will start to bubble and then foam as the solids separate from the liquid (this is how you make clarified butter, but we're not going to separate the solids from the liquids. Instead, we'll continue cooking until the solids brown.) Eventually the foaming will subside and the butter will be bright golden. Keep it going until the solids start to brown. Watch closely at this point, because they can burn very quickly. Once the solids have reach a beautiful amber color, remove from the heat at once. It will continue to darken a little off the heat, and will smell like caramel. Once you smell it, you'll understand the magic of the financier. In a small saucepan place the butter and bring it to a boil over medium heat. Stir it occasionally and brown until it smells like caramel (see above). When browned, but not burned, remove form the heat and set aside. In another large saucepan, stir the sugar and almonds together, then stir in the egg whites. Put the pan over medium heat and cook and stir until the mixture is heated through, about 2 minutes. Off the heat, stir the flour into the mixture, then stir in the browned butter gradually. It will be quite a wet batter at first, but the butter should get pretty well absorbed. Transfer the mixture to a bowl, and cover with cling wrap. Push the cling wrap down on top of the batter so that it is protected from the air and various smells of the refrigerator. Chill the mixture for at least 1 hour, or up to three days if you're not ready to bake. When you want to bake the financiers, preheat the oven to 400F with a wrack centered. 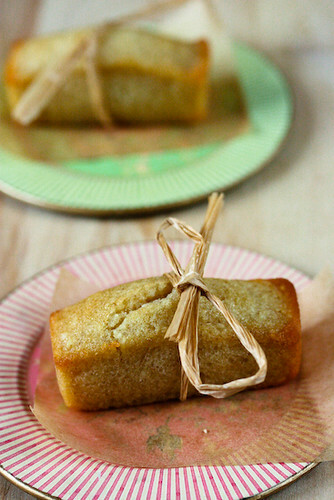 Grease a financier pan, which is in the shape of bars, or you can use a mini muffin pan, if that's easier. I made mine in a pretty standard financier pan, so if you do go the mini muffin route, you'll have to watch them and adjust the cook time. Fill the molds almost all the way, then bake for 12-13 minutes until the financiers are golden and springy when you poke at them. When I made them, the bars on the periphery cooked up faster than those in the middle, which had to be returned to the oven for a couple of minutes. But the cakes should not be mushy in the middle. When finished, take them out of the oven and remove them from the molds. Put them on cooling wracks and allow them to cool. 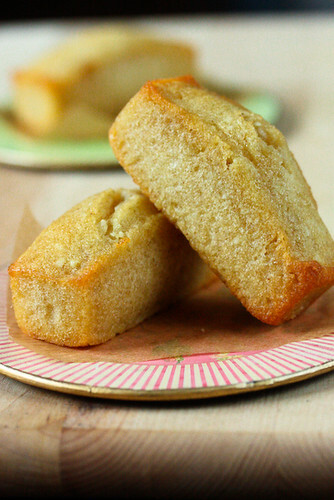 Well what a nice simple recipe for financiers, thanks so much. These look absolutely adorable. I have this cookbook too. I must cook from it more often. yum. SO only bankers and wall St guys can eat this? Fianciers? 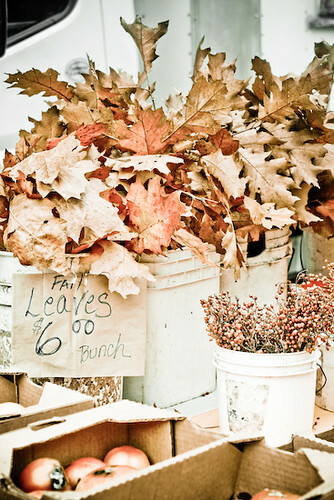 Nice pics. Do you take all of these pictures too? Kevin, well I'm definitely not a financier and I ate them! And yes, I take the pics myself. Thanks for your comment! 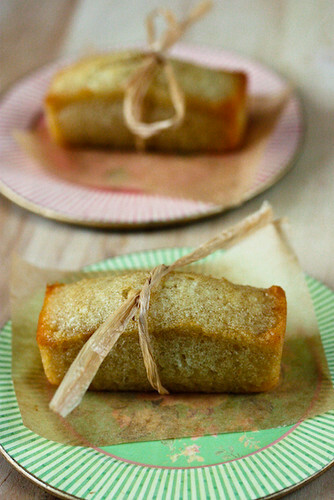 Financiers have long been on my list of recipes to try... your looks scrumptious! Great photos, too!